Our region has much to offer. We recommend you to try a bit of everything. Spend a weekend with culture and culinary highlights, enjoy nature by hiking or discover our fully developed cycling paths. Simply spoil yourself! Experience your personal wine event directly in our house! 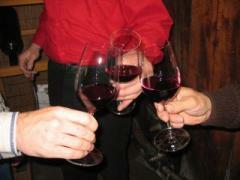 A close friendship connects our inn with the small vinery ´Wessely from the winemaker´s village "Horitschon". Rudolf and Elli Wessely produce typical, nourishing red wines which are famous for the Burgenland. As he loves his wine, he proudly presents them to his guests himself. He is especially proud of his speciality, the rare grape ´Roesler´. This wine, accompanied by regional dishes, could make the evening to an unforgettable event for you. Ask for prices and available dates. The menu will be arranged seasonal and individually for your likes. Musical entertainment with typical folkloric songs can be arranged. Please note: The wine grower does not speak English himself, but we can translate all of his explanations. We don´t want to forget our old crafts! 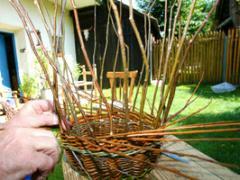 We happily arrange basket weaving classes for groups up to 5 persons in early spring with Wilfried Felber. In Autumn he also offers to build cribs. Note: Courses are only held in German. Translation is not possible at the moment. Kyusho Jitsu is an Art, which concentrates on attacking vital points of the body. These points are also used for Chinese healing practices, well known as acupuncture points. 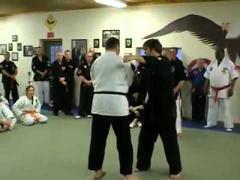 Sensei Manfred Tiefenbach developed this effective method for everybody ´to learn how to effectively defend yourself´. The most effective techniques from different martial arts in combination with Kyusho Jitsu (the knowledge of the meridians and vital points in the body) and Zhineng Chikung (most effective of the 11 healing Qigongs, strongest and therefore most potent one of more than 5000 known Quigongs). This combination is perfect self defense: easy, very effective and everybody from up to 10 years can learn it. The different courses in different levels are often booked by internationals and held also in English. We are proud of our cultural offers.